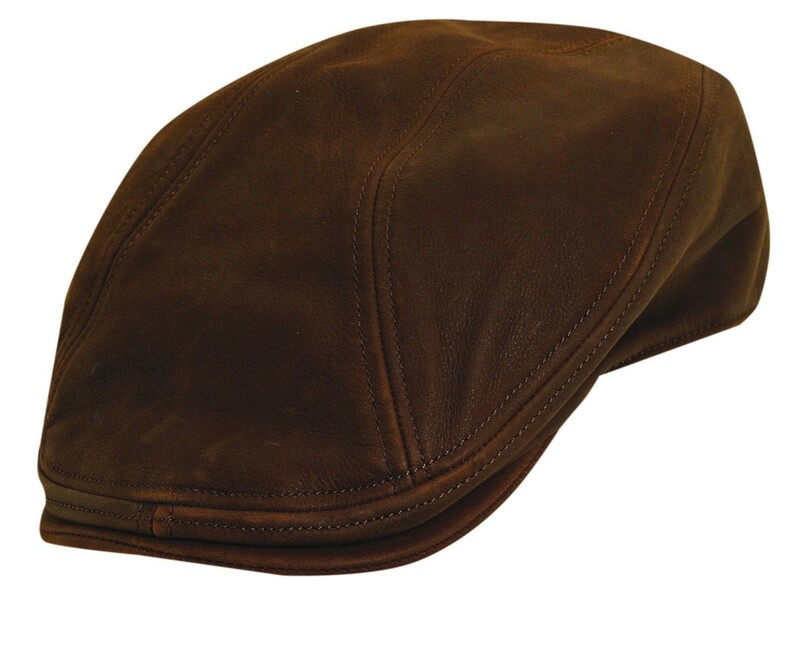 Smooth and sleek with a polished look, Stetson's classic leather ivy cap can accompany any suit from any generation. 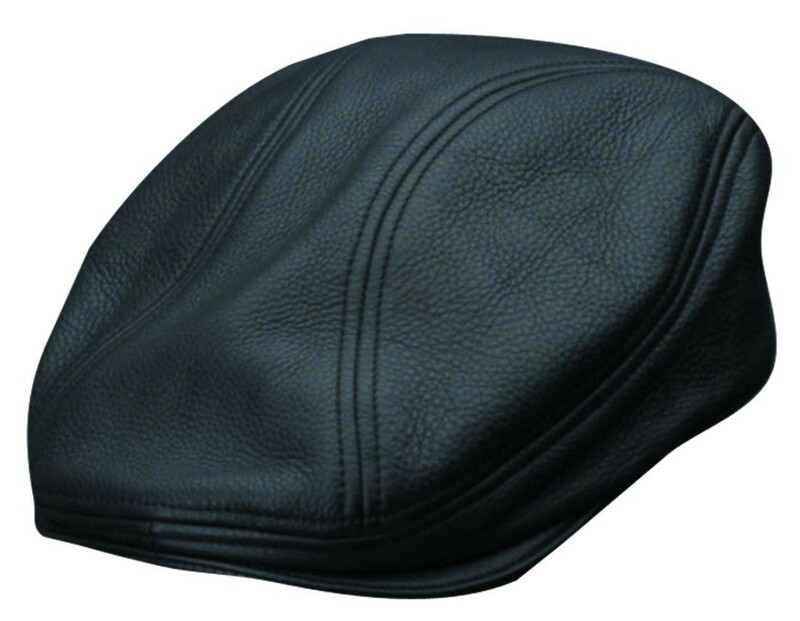 Oiled genuine leather eliminates rain damage, and a self-forming 1 3/4" sewn brim ensures a long lasting shape. Inside rests an elasticized sweatband for a sure fit. 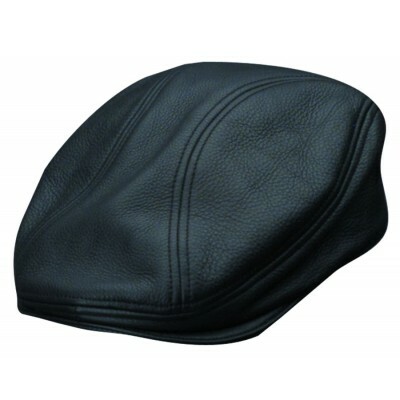 Brandished with a side Stetson pin that reminds a quality refined by few but Stetson.